As one of the most heavily supported and best-sold techno producers of the moment, notorious for his powerful live performances at renowned festivals and clubs, Reinier Zonneveld is currently taking over the contemporary scene with his unique view on techno. In spite of his young age, Zonneveld already managed to score several charting hits, including Beatport overall no.1 “Things We Might Have Said”, which was included on his well-received artist album “Megacity Servant” and later on landed in a Hollywood production. 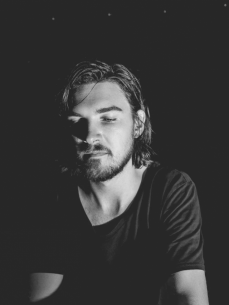 Born in the Netherlands on the 30 January 1991, Zonneveld’s introduction to music was through classical piano lessons from the tender age of three. In his youth, Reinier started to compose classical music pieces and performed piano concerts by himself. But it was only when he started his university studies in econometrics and finance and after attending his first illegal raves, that Reinier Zonneveld began exploring music production by way of electronic means. Spending all of his student’s allowance on his first synthesizers during his university time, Zonneveld managed to teach himself his outstanding production skills in his student dorm. At the end of 2015, after he completed his two master’s degrees, Zonneveld decided to dedicate all of his time and effort to his ever-growing passion: producing and performing techno music. Soon after, his tracks got picked up by some of the biggest names in the scene, followed by releases on Oliver Koletzki’s Stil vor Talent, Carl Cox’s Intec, Richie Hawtin’s Minus and two official remixes for Moby. With his productions and live-sets influenced by both, Zonneveld’s classical background and his own rave experiences, it’s no surprise that his sound contains an incredible breadth, ranging from deep melodic tracks to pounding warehouse acid techno. Zonneveld’s musical talent truly shines through in his live performances as he manages to craft hits, both old and new, live on stage. This extraordinary talent enables Reinier to perform a unique all-night live-set on the spot, while creating explosive moments on the dance floor. Only just starting his career, Zonneveld has already performed on all continents, from main stages to underground clubs, leaving a thrilled crowd on each dance-floor. If not on the road, Zonneveld tries to find time in his fully-booked tour schedule to create tracks and further hone his skills in the studio, with the experiences and influences gained from his performances and travels as a constant source of inspiration.